Thank you for enquiring about our To Those That I Love booklet. To download please click on the link below. 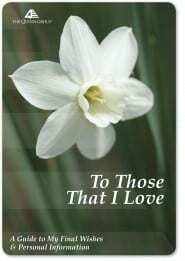 We have created the To Those That I Love booklet as a way to accurately detail your personal wishes, life’s achievements, and personal and estate information.